At first glance, the new Samsung Galaxy Watch looks like a traditional timepiece, but it is far from that. The company has announced three versions of the new line of watches with Silver, Midnight Black and Rose Gold faces. 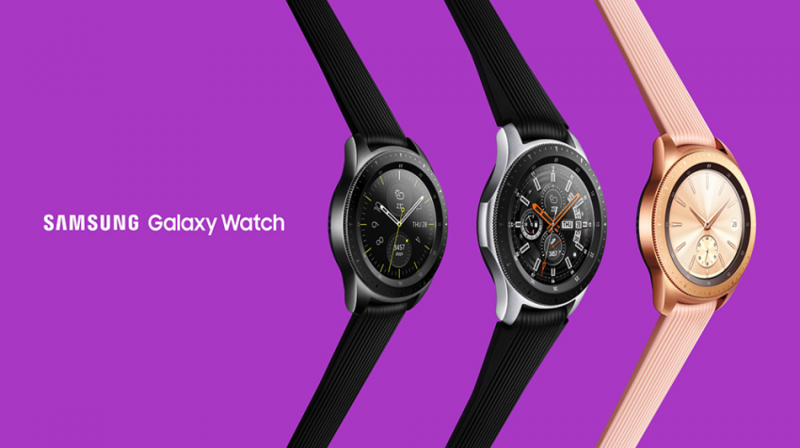 Designed to be part of the Galaxy ecosystem, the new watches have extended battery life, LTE connectivity, wellness tracking applications and integration with other computing and smart devices. Samsung says it wants these watches to be part of its Galaxy ecosystem so they can fit together with its smartphones, tablets and more. 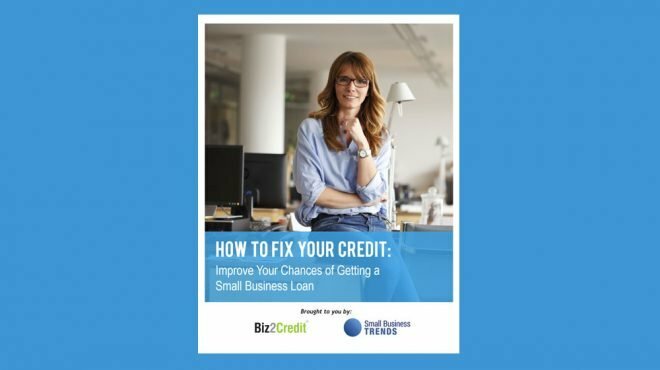 For small business owners, the watch offers a device which fits seamlessly within Samsung’s line of products and services. 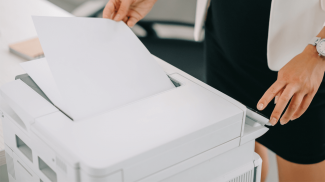 Being able to quickly see a message without taking out your smartphone, make payments, and control your smart devices will not change the world, but it will make things easier both in your workplace and at home. The goal is to make your connected experience more efficient and enjoyable. In an official press release, President and CEO of the IT and Mobile Communications Division for Samsung Electronics, DJ Koh said as much. 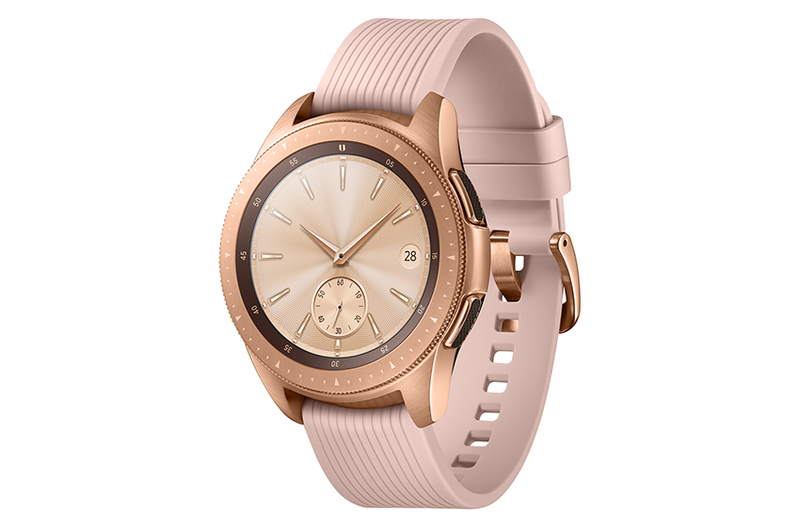 Available in two different sizes, 42 mm and 46 mm, the watches have Bluetooth and standalone LTE connectivity with call and text support. The 1.3″ always on full-color circular 360×360 AMOLED display is made with Corning Gorilla DX+. You can change the face of the watch with more than 60,000 designs from the Galaxy App Store giving you a different face every day for as long as you live. Along with the different watch faces, you can also get interchangeable straps in different colors. The LTE version comes with 1.5GB of RAM and 4GB of internal memory, while the Bluetooth version has 768 RAM and the same amount of storage. The battery also has two different configurations. 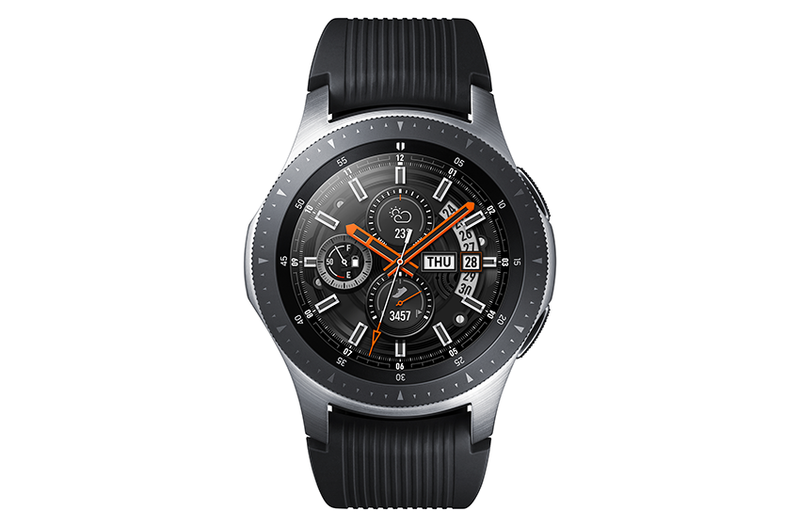 The 42 mm watches have a 270 mAh battery for up to 45 hours of usage and the 46 mm has a 472 mAh battery which Samsung says can give you up to 80 hours of usage. 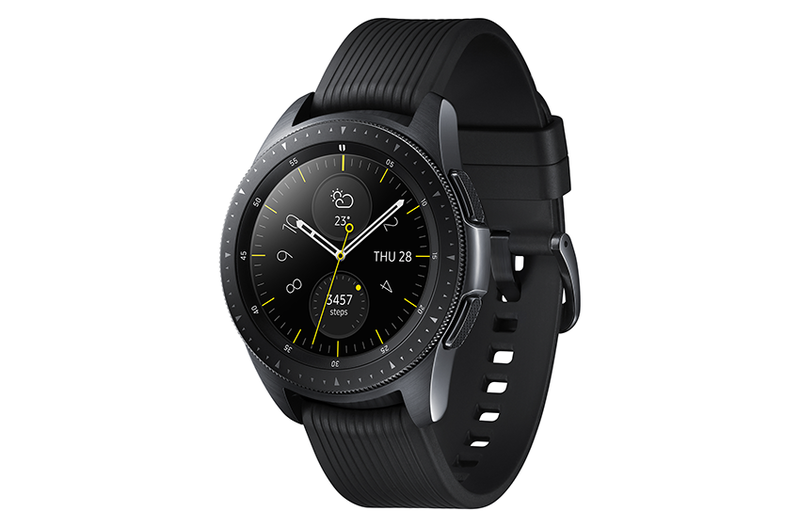 The Galaxy Watch doesn’t use an Android OS, but Samsung’s Tizen based wearable OS 4.0 is compatible with Android 5.0 or later, iPhone 5 and above, and iOS 9.0 and above. The Galaxy Watch works with SmartThings, Samsung Health, Samsung Flow, Samsung Knox, Samsung Pay and Bixby — and it also has Spotify and Under Armour integrations. In addition to checking your messages and answering calls, you can make payments, control your smart devices, talk to Bixby, listen to music and more. Using Samsung Knox and Samsung Flow, you can secure your data and unlock PCs and tablets to protect and gain quick access to other computing devices. The wellness trackers include new stress management and sleep monitoring apps which detect high levels of stress and monitor different levels of sleep including REM cycles. And if you are into exercise, the watch has 21 new indoor exercises, which can track a total of 39 workouts. The Galaxy Watch will be available in the U.S. starting on August 24, 2018. It will be carried by AT&T, T-Mobile, Sprint and Verizon. Globally it will be sold in 15-plus countries by over 30 carriers. The price for the Bluetooth 42 mm is $329.99. The 46 mm will run you $349.00. Samsung hasn’t announced the price for the LTE versions, but expect to pay a bit more for them. I am honestly not a fan of the watch versions. I get that they want to make the technology smaller. But nothing beats having your phone with you.